Justice Anthony Kennedy’s retirement sent many on the left over the edge. Even before President Donald Trump announced his nominee to replace Kennedy, progressives were lining up in fierce opposition. While it’s understandable that those on the left would be aggressively opposed to adding another advocate of the Constitution to the Supreme Court, some of the proposed counter moves to Trump’s pick range from silly to reckless. A Campus Reform video showed students at New York University denouncing the Supreme Court pick as “extremist” and “racist” before Trump even made his selection. “I saw the new nominee is like racist, and he’s starting a new wave of something very negative, and I’m really scared about the future and what choices he will make,” one student said. In somewhat more informed, yet still egregious commentaries on the potential nominees and the driving force behind them, some progressives turned to attacking their religious views. 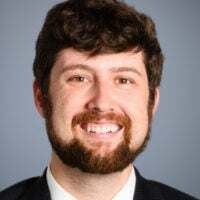 One particularly vitriolic article in the Daily Beast attacked Leonard Leo, the executive vice president of The Federalist Society, which had a huge influence in creating Trump’s Supreme Court nominee list. Writer Jay Michaelson portrayed conservative Catholics as members of some kind of dark conspiracy. 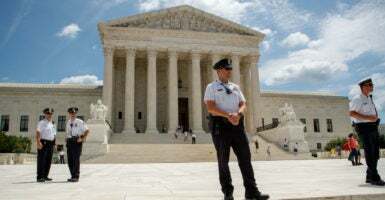 Beyond attacking individuals, the left has turned to openly condemning the Supreme Court itself, offering wild ideas to “fix” it and ensure that the court only comes up with decisions that progressives like. The most prominent suggestion right now is court-packing, based on the flimsy argument that GOP refusal to confirm President Barack Obama’s Supreme Court nominee in his last year in office was somehow an unprecedented break with tradition. Vox, a left-wing new media organization–an outlet that published an article calling the American Revolution a “mistake” for the Fourth of July–suggested that the left engage in “court-packing” once Democrats regain power. This means, essentially, expanding the Supreme Court beyond nine justices. The article pointed to the example of President Franklin Roosevelt’s court-packing scheme from the 1930s, peddled under the guise of judicial reform, which ultimately failed. Vox’s founder, Ezra Klein, doubled down, suggesting the Supreme Court now only exists to be an arm of the Republican Party. Klein pointed to a suggestion that the Court abandon the concept of lifetime tenure. Vox wasn’t the only left-wing outlet promoting court-packing “reform” for the Supreme Court. Of course, if efforts to curb the Supreme Court today are really about saving “democracy,” simply jamming the court with more unelected justices seems like an ineffective way to solve the problem. This is a particularly strange suggestion when Republicans control Congress and Trump sits in the White House. It’s amazing how rapidly the left turns on American institutions the moment they no longer help promote the progressive agenda. It appears that, for progressives, the Supreme Court now sits alongside the Electoral College as a suddenly odious relic of America’s past. At the end of the day, if the left is so concerned with the power of the Supreme Court, perhaps it should promote federalism and limiting the power of the federal government over the lives of Americans so its decisions have fewer all-encompassing, national implications.